Our family was very lucky to attend a special preview yesterday of a new kid's show called ZooMoo. ZooMoo is an interactive TV show that entertains and educates kids about the animals of the world. 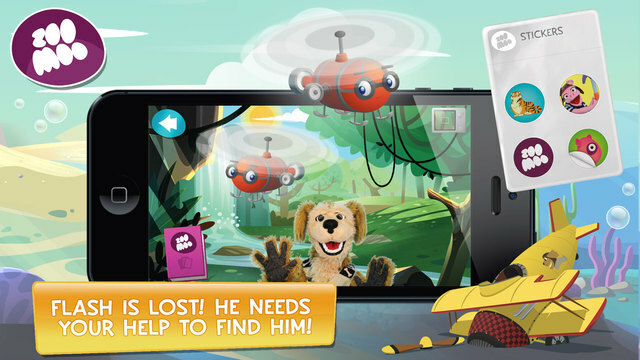 With puppets, animation, and incredible wildlife footage, ZooMoo is all animals all the time! 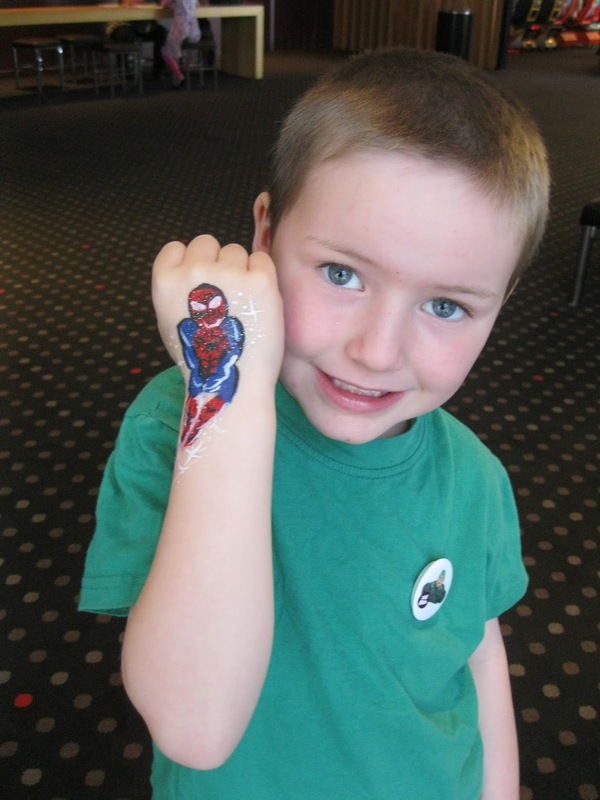 My boys were very excited to get some facepainting done when we arrived, although my 5 year old decided to get Spiderman painted on his hand instead. 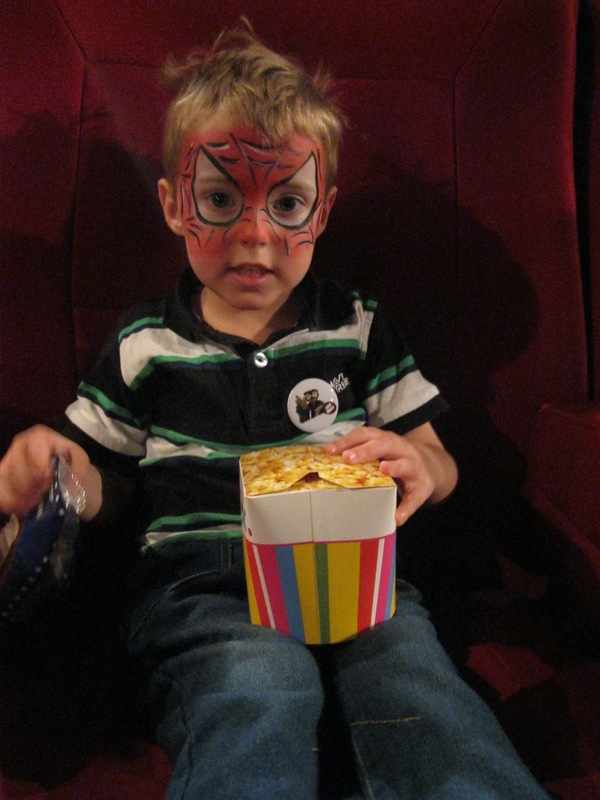 The Zoo Moo photo screening was fun for the boys too! 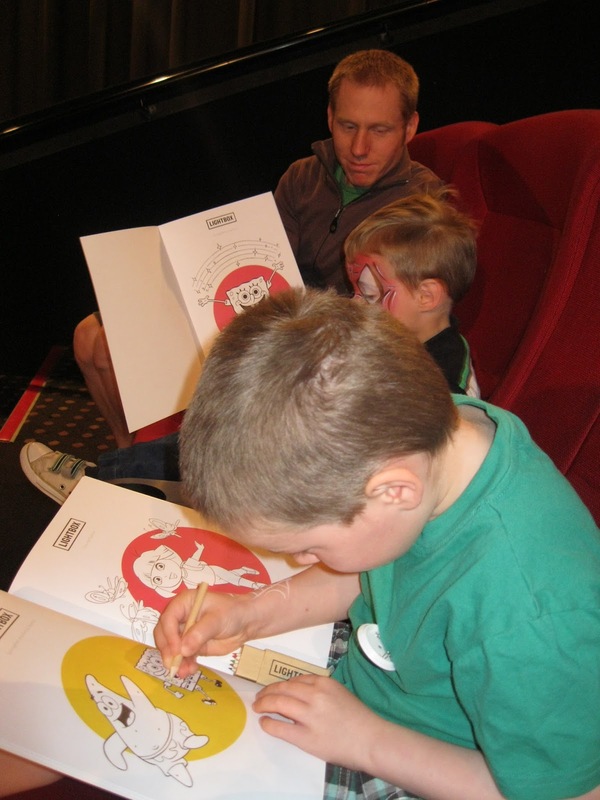 While we waited for the show to begin, each child was given a colouring book and pencils filled with Lightbox characters such as SpongeBob and Dora, which helped to keep the wriggles at bay. The icecream and popcorn helped keep the boys occupied as well, and I know my husband appreciated the snacks. We had an iPhone out during the screening, as there is an app for ZooMoo that encourages you to look after 150 animals on secluded ZooMoo Island. You can care for your animals, watch real life videos, learn animal names and sounds, feed, wash and create friends for your animals and take photos. The best part is it also works with each show to collect more animals and content, so the boys were excited to get some penguin cards throughout the screening. The ZooMoo App includes a Parent's Page where parents can learn about their children’s playing sessions, which animals are played with most, when animals were unlocked, and tons of animal facts. These facts help parents engage with their children, talking and learning together, which I think is a fabulous tool in our digital environment. The show kept my boys entertained throughout the entire hour screening, and the interaction between the characters and those watching was also fun and lighthearted. I even learnt a few things about penguins! The storylines jumped a bit, but they were all easy to keep track of and the different mini-stories kept the show from becoming too dragged out. My 5 year old loved the Ninja Gorilla scenes, and my 3 year old was especially entertained by the story read by Mom Orang' to baby DJ. ZooMoo’s schedule is built one hour blocks with five themed strands: explore time, create time, play time, puzzle time and quiet time. These provide consistency and structure, something educational experts stress is critical for learning and skill-building in young viewers. The one hour show may be a stretch for little ones to sit through, but as it does keep changing I found that my three year old's attention did not wander too much- especially as he kept being excited by each animal earnt on the app! Overall, I think that ZooMoo is a fantastic show for my two boys, who love technology and learning about the world around them. 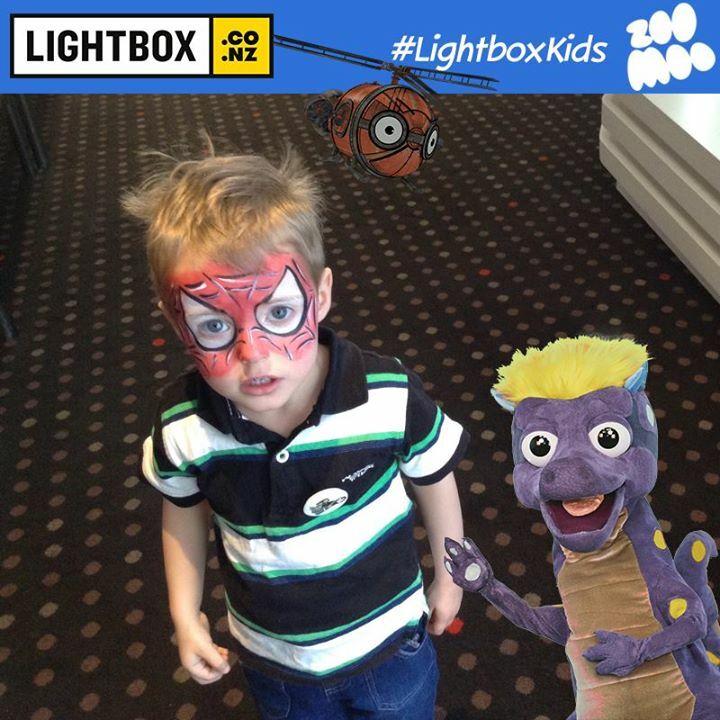 It has convinced me to sign up to LightBox, where there are currently 20 episodes of ZooMoo available to watch.